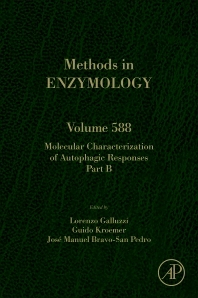 Molecular Characterization of Autophagic Responses, Part B presents a collection of methods for the qualitative and quantitative evaluation of virtually all the morphological, biochemical, and functional manifestations of autophagy, in vitro, ex vivo and in vivo, in organisms as distant as yeast and man. Autophagy is an evolutionarily conserved mechanism for the lysosomal degradation of superfluous or dangerous cytoplasmic entities, and plays a critical role in the preservation of cellular and organismal homeostasis. Monitoring the biochemical processes that accompany autophagy is fundamental for understanding whether autophagic responses are efficient or dysfunctional. Guido Kroemer got his M.D. in 1985 from the University of Innsbruck, Austria, and his Ph.D. in molecular biology in 1992 from the Autonomous University of Madrid, Spain. He is currently Professor at the Faculty of Medicine of the University of Paris Descartes/Paris V, Director of the INSERM research team ‘Apoptosis, Cancer and Immunity’, Director of the Metabolomics and Cell Biology platforms of the Gustave Roussy Cancer Campus, and Practitioner at the Hôpital Européen George Pompidou (Paris, France). 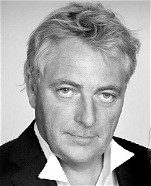 He is also the Director of the Paris Alliance of Cancer Research Institutes (PACRI) and the Labex 'Immuno-Oncology'. Dr. Kroemer is best known for the discoveries that mitochondrial membrane permeabilization constitutes a decisive step in regulated cell death; that autophagy is a cytoprotective mechanism with lifespan-extending effects; and that anticancer therapies are successful only if they stimulate tumour-targeting immune responses. He is currently the most-cited cell biologist in Europe (relative to the period 2007-2013), and he has received the Descartes Prize of the European Union, the Carus Medal of the Leopoldina, the Dautrebande Prize of the Belgian Royal Academy of Medicine, the Léopold Griffuel Prize of the French Association for Cancer Research, the Mitjavile prize of the French National Academy of Medicine and a European Research Council Advanced Investigator Award. José Manuel Bravo-San Pedro graduated from the University of Extremadura (Caceres, Spain) in 2011, and now works as a post-doctoral fellow in the laboratory of Guido Kroemer. His main research interests encompass the molecular cross-talk between autophagy and regulated cell death, and the interconnections between cellular autophagic responses and organismal metabolism.